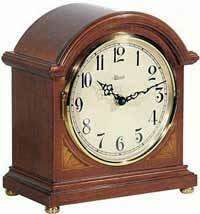 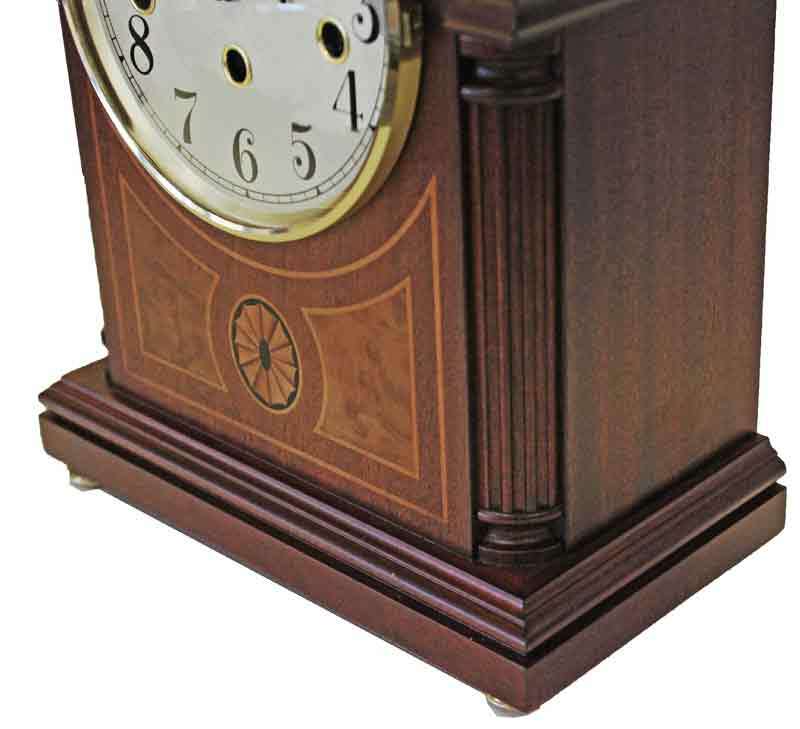 Hermle Barrister keywound chiming mantel clock. 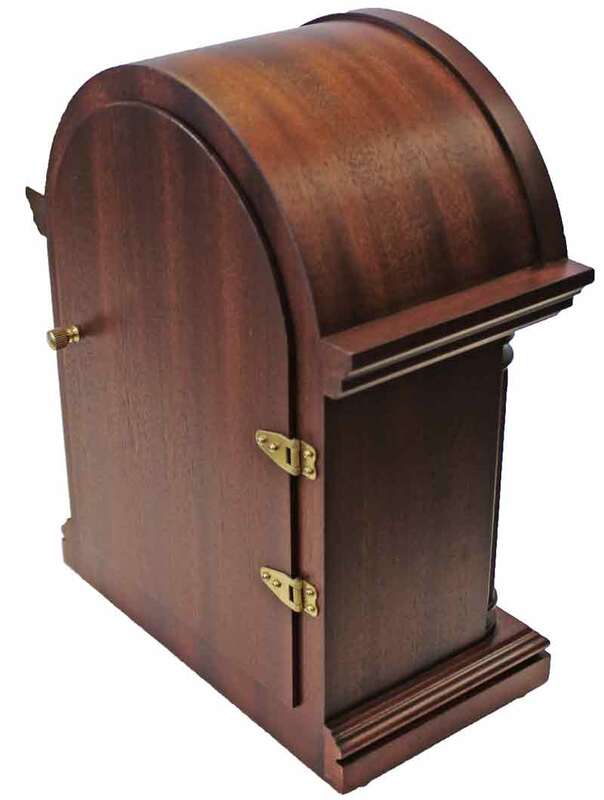 Elegant Barrister-style case made from select hardwoods and veneers in a rich mahogany finish. 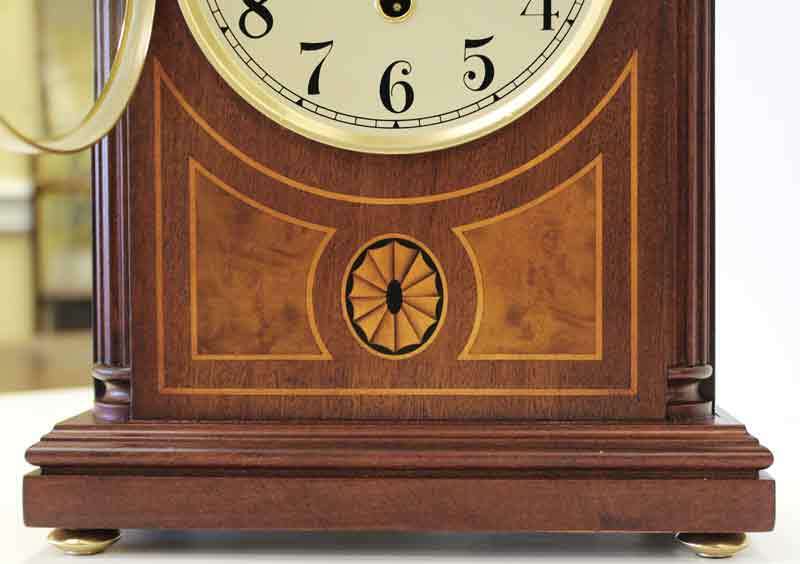 The front panel features fluted columns and exquisite inlaid marquetry constructed from several different contrasting species of exotic woods. 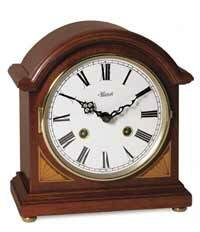 The ivory colored dial has Arabic numerals and serpentine hands behind the brass bezel with convex glass. Brass hammers strike acoustically tuned chimes rods to create a beautiful chime. 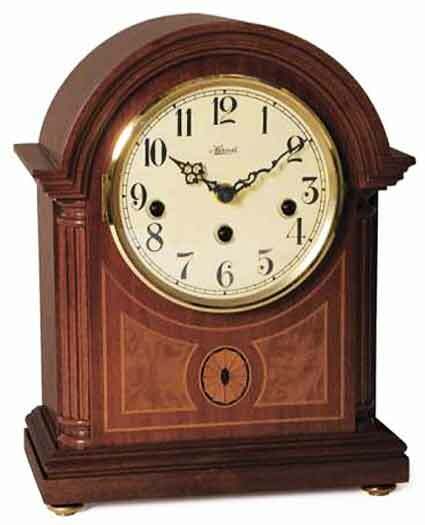 German made brass 8-day key wound movement plays 4/4 Westminster chimes with a chime silence lever. 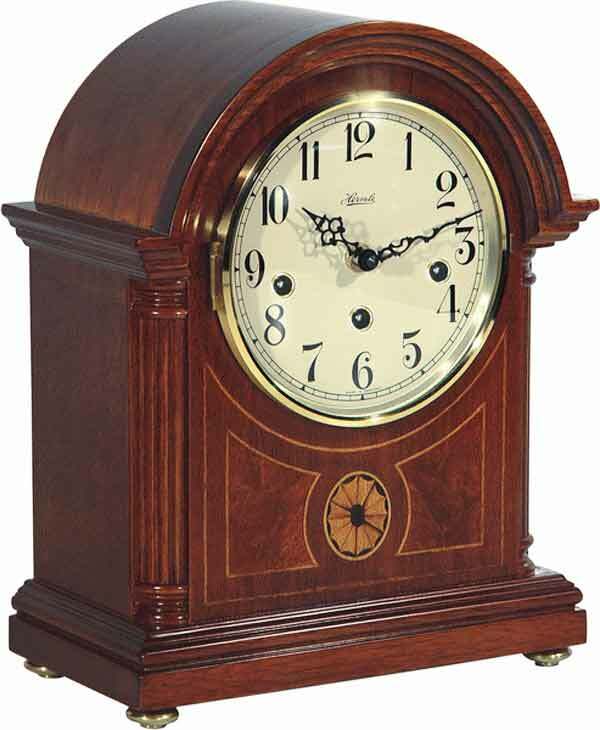 Size: Height 11 5/8", Width 9 1/4", Depth 5 1/8 inches. Clocks for sale at The Clock Depot including the 22877-070340 at discount prices.